Particularly in the field of patient monitoring, experts see a large market and a wide range of possibilities for the Internet of Things. By linking patients, doctors and medical equipment, the goal is to reduce costs in the healthcare sector and improve patient care – even if patients are no longer being monitored constantly in hospital, but at home in everyday life. With a total of 6,000 patients, the UK Department of Health has carried out the largest study on the effectiveness of telemedicine in the world to date. The initial results of the study are promising: the study showed that, for chronically ill patients using telemedicine platforms, the mortality rate fell by 45 percent, emergency admissions fells by 20 percent and time spent in hospital was shortened by 14 percent. This study therefore gives a clear signal for modern healthcare systems all over the world that structures should be changed to focus on telemedicine and home healthcare. “There’s no other way to improve the care provided for chronically ill patients outside of hospital, while at the same time getting the costs of the healthcare system under control,” states Jochen Franke, Managing Director of Philips Healthcare Germany. Caring for chronically ill patients cost the UK healthcare system millions every year. Emergency admissions or stays in hospital are particularly cost-intensive. The initial results of the study indicate that telemedicine could be a way of significantly reducing these costs. It could help relieve the strain on the healthcare system over the long-term, without patients having to compromise on care. 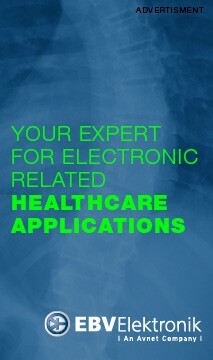 Philips offers the telemedicine platform Motiva, for example, which can be used to monitor chronic illnesses. The system connects the patient with their specialist medical personnel via a network connection on their TV at home. It evaluates the vital parameters, such as weight and blood pressure, recorded using wireless equipment and communicates any potential problems directly to the specialist personnel. This means that patients are given an early warning of changes to their state of health, enabling them to plan the further steps in their treatment with their team of carers directly on the TV. Imec and Holst Centre therefore developed an extremely energy-efficient multi-standard wireless solution. With Bluetooth Low Energy, ZigBee and Medical Body Area Networks, it supports the most frequently used wireless standards for mobile sensors around the world. The transmitter is up to five times more energy-efficient than the current Bluetooth Low Energy solutions. This means that the entire measurement device can be made more autonomous or additional functions implemented. This also enables the size of the battery to be reduced, so that the entire device can be made smaller – which leads to a significant increase in comfort in portable systems, for example.